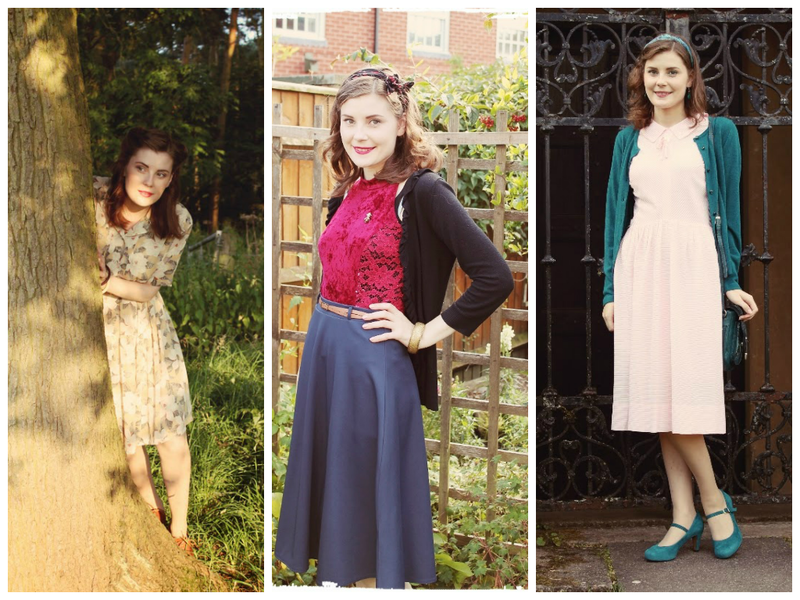 Last year I put together a little run down of my favourite outfits for each month. 2014 for me has been very different to 2013 - I spent most of the year working really hard towards my Masters degree so I was left with very little time for my usual leisure activities. Despite this I somehow managed to blog more than I had done the previous year. While 2014 was difficult for me in a lot of ways, I'm astonished by some of the things I have managed to achieve - I've done a little more travelling by myself and have put myself forward to give seminars and presentations on my research, both of which are activities which I don't find easy. 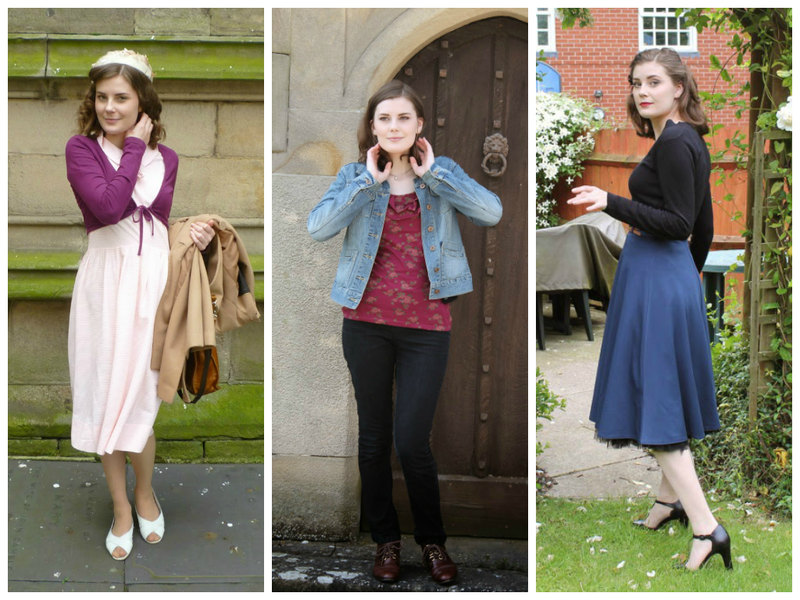 I'll try and keep everything short and sweet for this year - just a brief look at a few outfits and I'll skip over any lengthy descriptions! 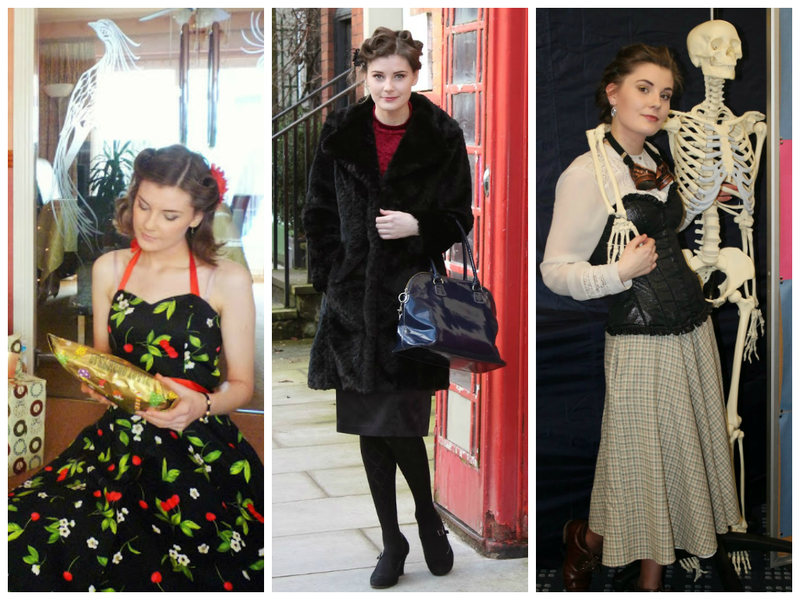 Christmas day, a new fur coat, a Steampunk-themed science event at university. Easter, something more modern, one of my favourite outfits from the whole year. 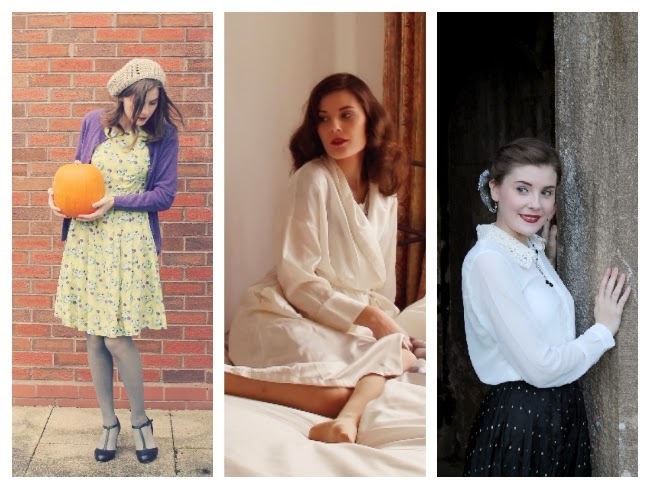 June was a good month, with lots of my favourite blog posts of the year. A return to dressing "properly" (i.e. not having to wear practical work clothes), red velvet, and a trip to the beautiful Newstead Abbey. Clichéd blogger-posing-with-pumpkin post, bringing some glamour with Bésame cosmetics and a review of some gorgeous shoes. P.S. 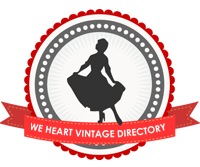 I am featured in the January 2015 issue of Vintage Life Magazine (their 50th issue!) so be sure to check it out. I'm on the last page before the back cover. That is one of my favourites too! I can't pick. They are all great outfits! Woohoo for being featured! You look lovely on all of them. I think March had to be my favorite though, because steampunk! Congratulationson your magazine feature, that sounds really exciting. I really enjoyed that event, I should definitely try steampunk more often! Great round up! And congrats on the magazine feature! 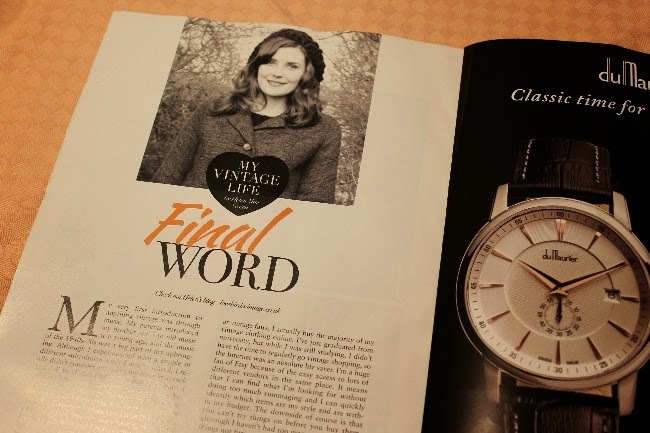 I have yet to get my hands on a copy of Vintage Life! One day!